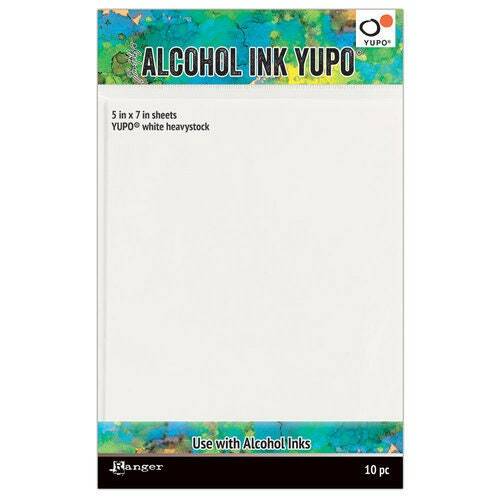 The Tim Holtz Alcohol Ink Yupo Paper is an ideal surface for alcohol inks and mixed media techniques using Tim Holtz Alcohol Inks, Mixatives and Blending Solution (each sold separately). The package includes 10 sheets of 5" x 7" white 144lb heavystock that is made by Ranger Ink in the USA. The synthetic surface of the paper resists buckling and dries quickly.